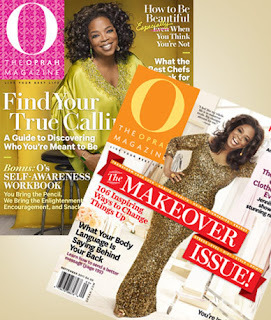 $9 for 1-year Subscription to O, the Oprah Magazine! Right now at Mamasource, you can get a 1-year subscription to O, the Oprah Magazine for only $9.00! This is a $54 value! The subscription is on sale for $10, but use the code DEC10 make it $9. When you’ve had enough fluff and are ready for some substance, reach for O, the Oprah Magazine. The consummate publication for today’s smart women, it’s packed with quality articles on health, fitness, style, cooking, personal relationships, and countless other meaningful topics. Plus, there are celebrity interviews, profiles, and news that really matters. NOTE: You can also get a 2-year subscription to Girl's Life for $10.80. Click here for more info on that!